Hi everyone. 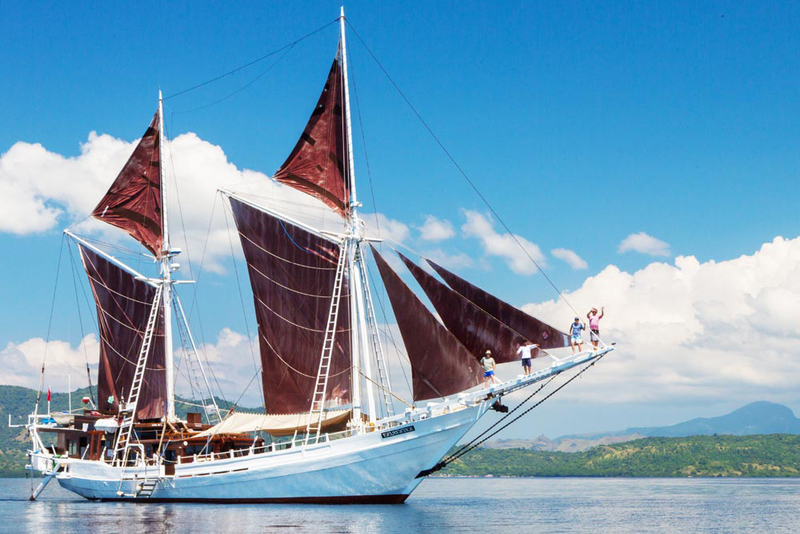 Angela and myself have just returned from an expedition out to Indonesia for the amazing Seatrekbali Cruise Company. 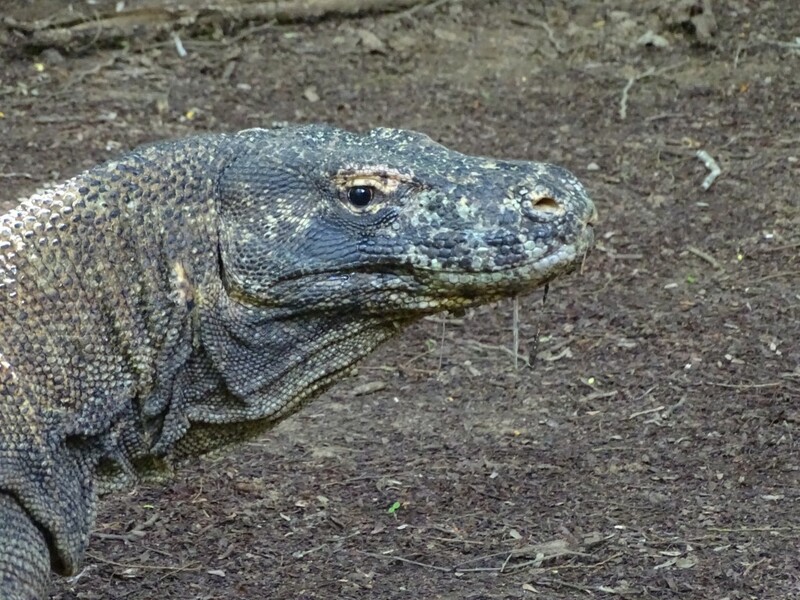 We were the tour leaders on an amazing trip that sailed from Bali via, Lombok, Sumbawa and on to Komodo and Rincha. We will be returning to Indonesia in 2019 with Seatrekbali. The small tender gently beached as the outboard motor fell silent. The water was crystal clear and warm to our legs as we stepped out of the boat on to the shore. 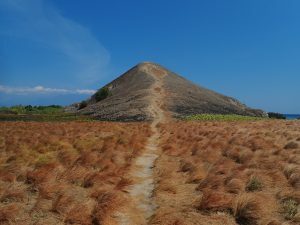 This was Kenawa, a small uninhabited island half way between Lombok and Sumbawa. This was the beginning of an adventure for my self and my fellow travellers. As my new friends marveled at the soft white sand between their toes and prepared their snorkel gear I did what I always do when I find new horizons to explore. I wandered off with my camera in hand. After all, I was the ships naturalist and had a duty to find, report and record any wildlife that may be present. The island is not a big one with a perimeter that could be probably walked in around an hour. To the North shore is a beach of ivory white sand whilst to the South is a line of trees that cling to life precariously and protect the open grassland that lies to the center of the island from the strong winds that blow in from the sea. At the time of our visit the whole area had been suffering from extreme drought and the scrubland had at some time fallen victim to fires although the charred grass was now showing signs of recovery. As a naturalist I have a mantra given to me by an old friend now long passed. It simply says “Hope to see everything but expect to see nothing”. It has stood me well when faced with such landscapes. It pays to realize that if you want to see something you must be patient. It was obvious that large animals did not exist in this landscape, I further accepted that the birds overhead were more than likely to be fleeting visitors from the mainland. No, if I wanted to find something of interest it would have to be small. Of course as an entomologist and arachnologist that would suit me just fine. I began to poke around in the tufts of grass. I soon came across a few elaborate spider webs centered around the grass tufts. They were obviously those of some kind of funnel web spider but any attempt to tease their reluctant occupants out proved in vain. I then turned my attention to the trees on the shore line. I came across a web and there in the center sat a small but nevertheless beautiful spider. 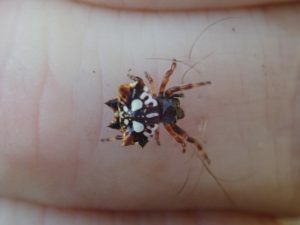 It was a Gasteracantha species also known as thorn spiders. Such spiders have evolved to be unpalatable to birds that swallow them. The birds soon spit them out allowing the spider to continue on its way. It is hard to describe the feeling when one comes across something like this. It’s a eureka moment. An epiphany. I looked closer this was new to me. My excitement grew. 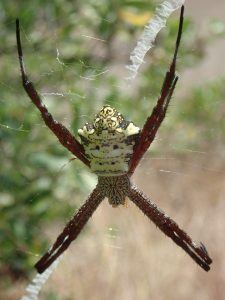 I knew it was an Argiope species but which one if indeed this had been seen before. 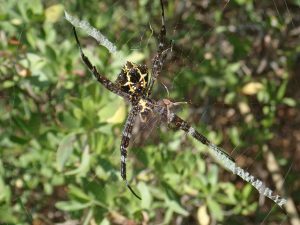 The closest I had seen previously was Argiope assenta otherwise known as the Hawaiian garden spider but this was different and the two islands are some 6000 miles apart. This was intriguing. The body shape was similar but the abdominal pattern different. 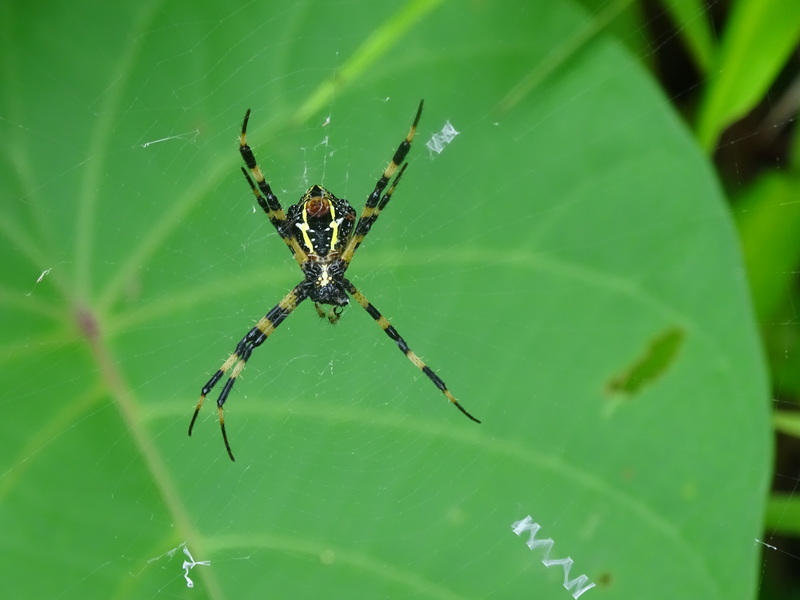 The legs on Argiope assenta are striped but those on this spider were uniform. I crept ever closer my camera in hand. I reeled off a few shots. I could hardly breath I did not want to disturb my quarry. Another shot and then I retreated to examine my prize. On closer examination I realized that not only had I captured this potential new species on film but there sitting calmly in front of the large female sat the much smaller male. This was indeed a coo. 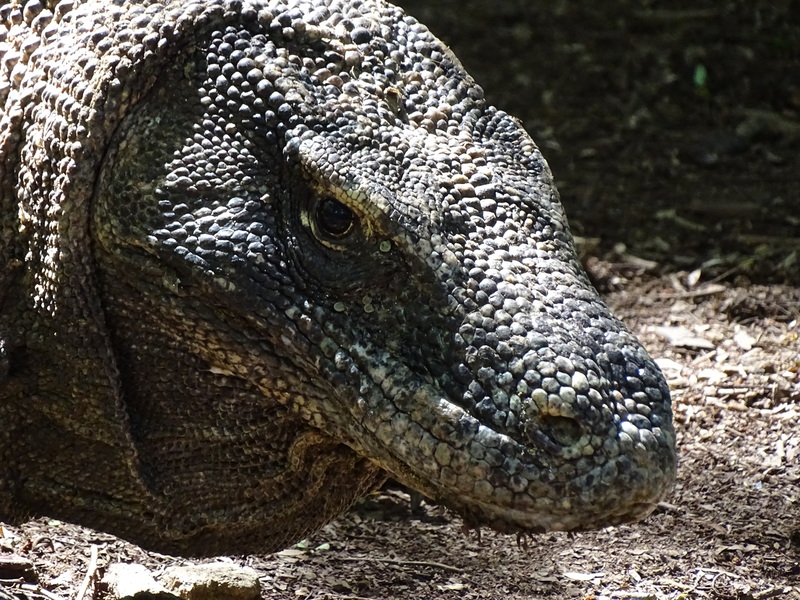 Finding new species is difficult anywhere but actually describing them to science is a daunting task and male and female specimens are required. But I had no intention of disturbing these beautiful creatures. My weapon is my camera. I proudly rejoined the group and like a schoolboy with a his first straight A report card I shared my luck with them. Content that I had fulfilled my first task I too slipped on my snorkel gear and slipped beneath the waves to the coral reef that lay beneath this idyllic sea. Back on ship I tentatively called the find Argiope sp. “Kenawa Island”…..I will return one day and marvel again at this new wonder of nature. 2.If I were there was no way I would be wearing pyjamas. 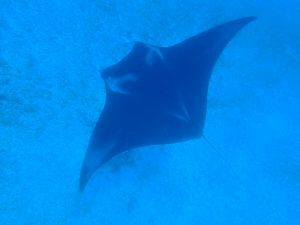 With this in mind why on earth was I now sitting on a speedboat wearing a facemask, flippers and breathing heavily through a snorkel about to fall backwards over the side into deep water in search of sea turtles and giant manta rays? The answer is a simple. Because beneath me lay a world I had not seen and determination to see it had overridden my fear. Earlier that day Angela and I had stood on a desert island beach and nervously walked to the sea. Our fellow travellers had already launched themselves into the clear warm water and had disappeared beneath the waves. Like an old married couple (which indeed we are after 35 years marriage) we tentatively entered the water hand in hand both looking at each other for moral support. Our tour leader and new friend Arie, already waist deep, smiled and encouraged us to “take the plunge”. I went first and sank beneath the waves. I soon surfaced blowing the water from my snorkel. This might prove difficult. Angela went next slowly bending forward to immerse her head into the calm sea. It was then that it happened…. I did not see it coming and to my last days I will remember it. She lifted her head from the water, pulled off her mask and screamed at me…I rushed back to her believing there to be something wrong. She looked at me and with a look of excitement on her face that will remain with me she simply said….”……. have you seen the fish under here?”. She quickly refitted her mask and without another word sank beneath the water and joined the others. I stood stunned. In all the years together I had seen her swim only once and that was for about ten meters and yet suddenly she was ploughing through the water like a torpedo. I too replaced my mask put the snorkel in my mouth and entered this magical world. For that is indeed what it is. For anyone like myself who had never seen such wonders I urge you to try it. Twenty yards from the shore and in water no more than 5ft deep a mystical colourful world awaits. Fish of every conceivable colour, corals of blue, red, green and in fact every colour you can think of sit in this silent world. 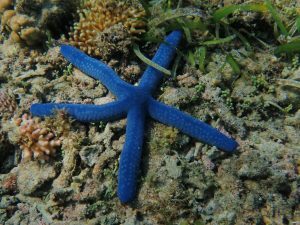 A bright blue starfish sat motionless on the bottom whilst see anemones hurriedly returned to their shells as our shadows passed over them. A small group of parrotfish swam by as a bigger pipefish looked at me nonchalantly before disappearing into the distance. Sea cucumbers that looked like octopus tentacles littered the bottom and brain corals the size of a small car homed a million unseen creatures. I gasped for air as I resurfaced and re-entered my own world. Within seconds I was back beneath the waves effortlessly drifting in this twilight world. It is hard to describe the feeling of such an experience. 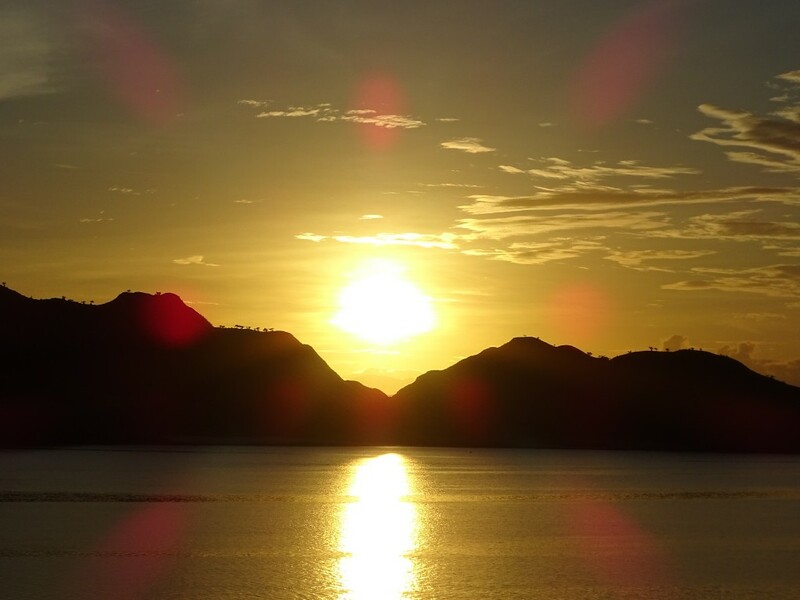 We have travelled the World stood on mountain tops at sunrise, we have hacked our way through the jungles of Borneo, explored the deepest caves and witnessed sunsets that melted our hearts but we can both honestly say this was an experience we would never forget. It’s a big world and we pass this way but once. Coming soon: There is a place that is magical!